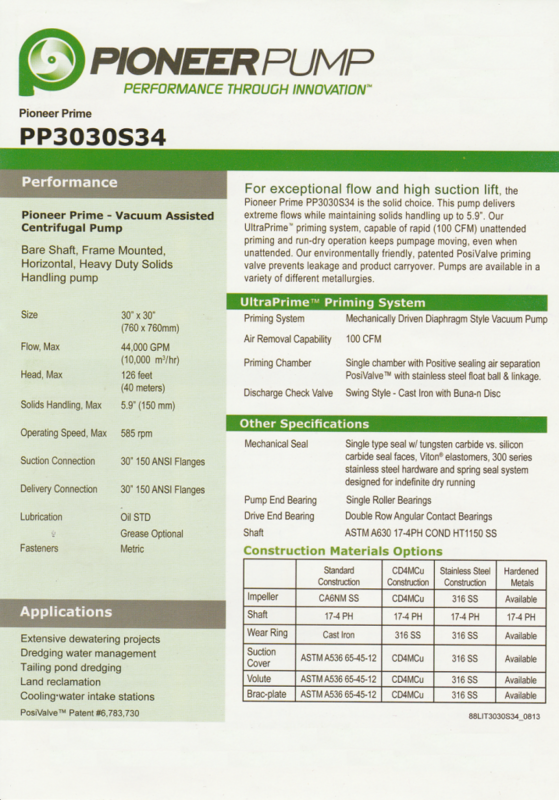 Pioneer Pump is the world leader in high flow pump technology. We are a global company with advanced manufacturing centers in the US and Europe, supported by a worldwide distribution network. 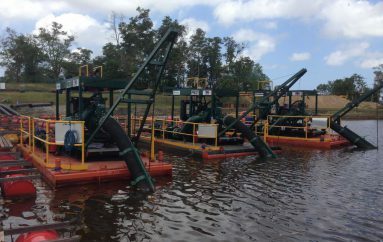 Our engineering leadership creates environmentally friendly pumps that, size-for-size, move more water, more efficiently, more reliably than ever before. Our customer service is second-to-none, with more than 200 years of combined experience applied to every project. This is performance through innovation. This is Pioneer Pump. The heart of the Pioneer Pump line, our standard centrifugal units offer extreme performance for the toughest applications and industries. 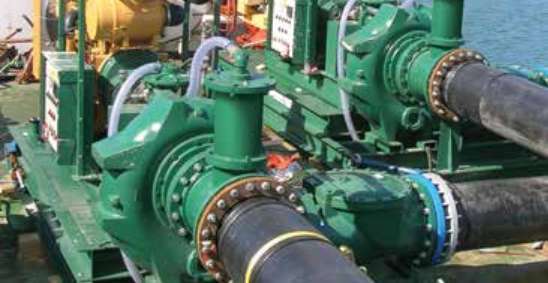 Our standard centrifugal units with Pioneer Pump UltraPrime priming system offer extreme performance for the toughest applications and industries. 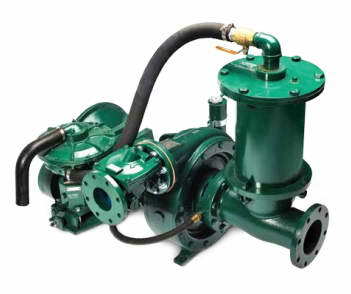 These pumps are designed for reliable solids and clear liquids pumping. After initial priming, they continue to reprime automatically. Pioneer Prime offers fl ows up to 18,000 GPM (4,000m3/ hr) and heads to 700+ feet (210m) with vacuum-assisted dry priming and run-dry capability, providing the best performance of any company in the self-priming pump market. Exceptional hydraulic designs combined with outstanding quality assures less service and downtime, leading to increased production and profits. Our patented PosiValve™ and UltraPrime priming system prevents leakage and carryover while offering unparalleled reliability. Fully contained packages, including 110% containment with noise levels as low as 60 dBA, meet noise and containment regulations. Size for size, Pioneer pumps are designed to move more water than any other manufacturer. Whether it is mine dewatering or quarry fl ooding, Pioneer gets you drier, faster. Pioneer pumps are highly effi cient so they’re better for your budget and the environment. 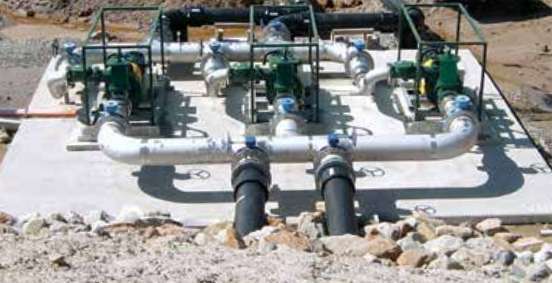 Standard centrifugal and self-priming pumps deliver high fl ow and pressure for the most demanding mining applications. Of all the daily concerns you have in your mining operation — health and safety, environmental impact and of course costs — downtime is one of your biggest headaches. Time you spend dealing with water in extraction zones is money you lose. 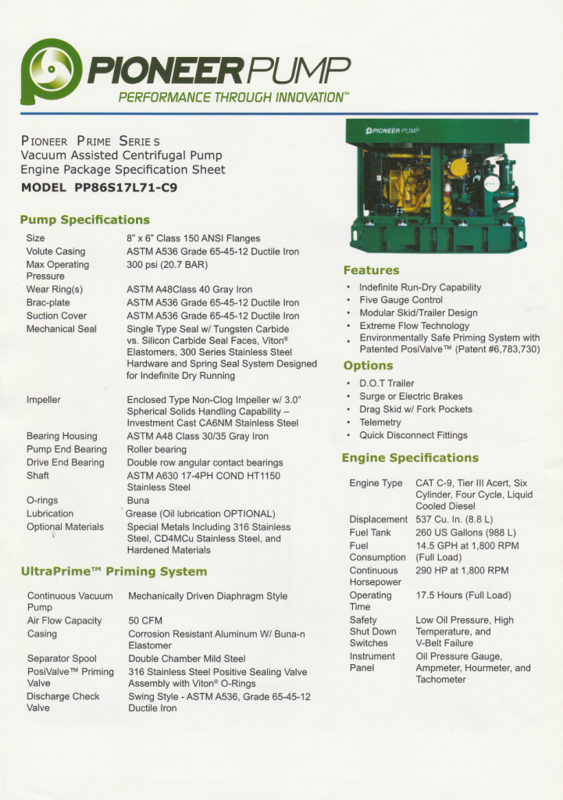 Pioneer Pump keeps you up and running with the highest performing, most diverse mining pump product line available. Worldwide, our pumps get the job done.